With Pomato, you’ll find the best IT talent. Human Resource departments and staffing agencies are at the front lines of today’s competitive marketplace. Hiring the best talent is key to a company’s success. But how can hiring professionals properly evaluate technical skills, when new technologies and skill sets can pop up at any time? Pomato is the answer. Pomato uses state-of-the-art assistive intelligence and machine learning to evaluate and validate each IT candidate. It’s surprisingly easy to use. Simply click a button and within minutes you’ll have a clear, colorful, at-a-glance report on a candidate’s skills, experience and other profile information – and how that candidate compares to all others. Pomato? 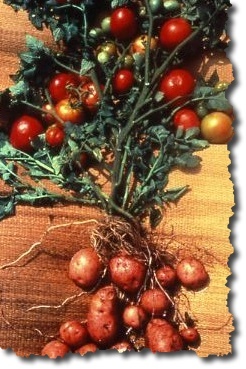 The pomato plant looks like a normal tomato plant but hides something underneath. Just like a resume is not always what it seems. Does Pomato sound like your new best friend? Find out for yourself with a free trial. Try Pomato for free. Want more information on Pomato Features?